Stakes were high in the fourth game of Chelsea’s Champions League campaign. Eyebrows were raised as Roberto Di Matteo chose to rest captain John Terry, citing a lack of match fitness with the match against Liverpool on Sunday. A win for Chelsea would put the Blues’ back in the driving seat to advance for the next stage of Europe’s elite competition, and a step closer to becoming the first club to defend their Champions League trophy. Even though some fans would prefer to concentrate on the Premier League (Chelsea started as strong favourites but are now 4.5 to win the league in Betfair Premier League odds, behind Utd and City). 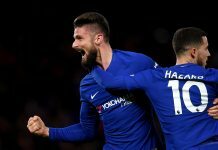 Shakhtar had given Chelsea a real lesson in the pacey, dynamic football the West London club are trying to evolve into under Di Matteo, a 2-1 defeat in the Donbass Arena two weeks ago. Coming into the game Mircea Lucescu’s men were on a run of 37 games unbeaten. Bums were barely on seats as fireworks began to go off at the Bridge, with the Ukrainian team immediately pressing the 18-yard box in front of the Shed End. It was however Chelsea that would take the lead after six minutes. Shakhtar keeper Andriy Pyatov would have a game too forget as with only 6 minutes gone, he drove a clearance low and hard into Fernando Torres, who was grateful to see the ball bounce in the net. It would be important for Chelsea to build on the start that was gifted by the Ukrainians. They didn’t. Minute’s later Shakhtar carved Chelsea open. Fernandinho waltzed through the Blues’ defence and pulled the ball back for Willian to net his first of the night, as Premier League managers across the country picked up their telephones. The Blues’ would go into half time a goal up thanks to another Brazilian. Avoiding every overused Oscar pun under the sun, the European gem took down a stray clearance from Pyatov to ping the ball back over the keeper and into an unguarded net. Brilliant technique from the man and another we will not get tired of watching in a while. The Blues’ ended the half strongly with the midfield trio playing nice one touch football in and around the Shakhtar box. It wouldn’t be a vintage night at the Bridge without doing it the hard way would it? The Blues’ had barely touched the ball when Bertrand was caught ball watching and another pull back was rolled into the net by Willian. Chelsea played well after conceding the equaliser despite Shakhtar coming close, hitting the post from outside the box although it looked as if Petr Cech’s frame had it covered. In the 65th minute jaws dropped and eyes were rubbed across West London as John Obi Mikel got on to the end of a Juan Mata free kick to head in, only for the linesman to play party-pooper and (correctly) rule the Nigerian offside. Ramires was hauled down in the box in the 73rd minute, which was instantly dismissed. The Blues’ were starting to dig deep, soaking up Ukrainian pressure and attack the Ukrainian Champions. Di Matteo threw Sturridge and Moses on in the dying embers to try and win the game. It was Moses who would raise the biggest reception since his exploits in Egypt, heading home from a wicked Juan Mata corner in the 93rd minute. A vital goal in the Blues’ own pilgrimage to the promised lands of the knock out stages. So, much too take in from the 90 minutes tonight at the Bridge. Our defence surely must be addressed once more. The goals we are conceding seem to be all too similar; letting wingers get wide and pull back balls whilst our defence are running towards goal. At the risk of over-evaluating and criticising him too much, as I felt he played well and responsibly, Ramires did tend to drift and not provide the best cover in front of the back four when Mikel was at sea. In my opinion, Torres is still lukewarm. The man has my head buried and my face redmore often then not. The only bit of want he showed all night was in the sixth minute, other then that his touch was poor and he isn’t really creating as he did toward the end of last season. 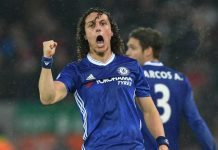 And of course, no evaluation would be complete without the mention of David Luiz, a constant concern, the proud owner of the oxymoron title ‘vagabond centre half’, tonight his marauding was not punished. All in all a massive result and a huge step toward qualification. We are the first team to beat the Ukrainian Champions in 37 games, and the boys summoned the strength and desire when we needed it most, notably without Frank, JT and Ashley. The win was a first in three and puts us in good stead ahead of the visit of those pesky Scousers on Sunday. KTBFFH. Chelsea: Cech, Ivanovic, Cahill, Luiz, Bertrand, Ramires, Mikel, Hazard, Oscar, Mata, Torres. Subs: Turnbull, Azpilicueta, Terry, Romeu, Marin, Moses, Sturridge. Shakhtar: Pyatov, Srna (c), Kucher, Rakitskiy, Rat, Fernandinho, Hubschman, Texeira, Mkhitaryan, WIllian, Luiz Adriano. Subs: Kanibolotskiy, Shevchuk, Ilsinho, Stepanenko, Costa, Eduardo.